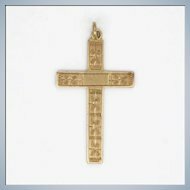 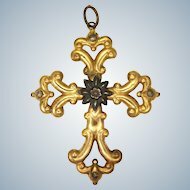 This exquisite,late Victorian, 9 carat gold cross bears full English hallmarks for the year 1901. 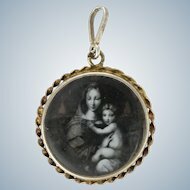 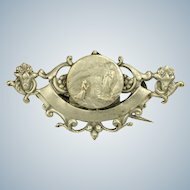 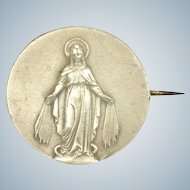 It measures 1 and 1/8” (2.9cms) long, including the ring, and 5/8” (1.6cms) across. 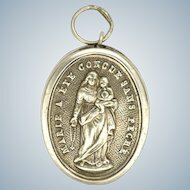 It weighs 1.1 grams. 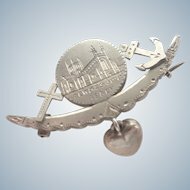 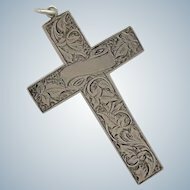 On the front the cross is delicately engraved with ivy leaves, the Victorian symbol of remembrance. 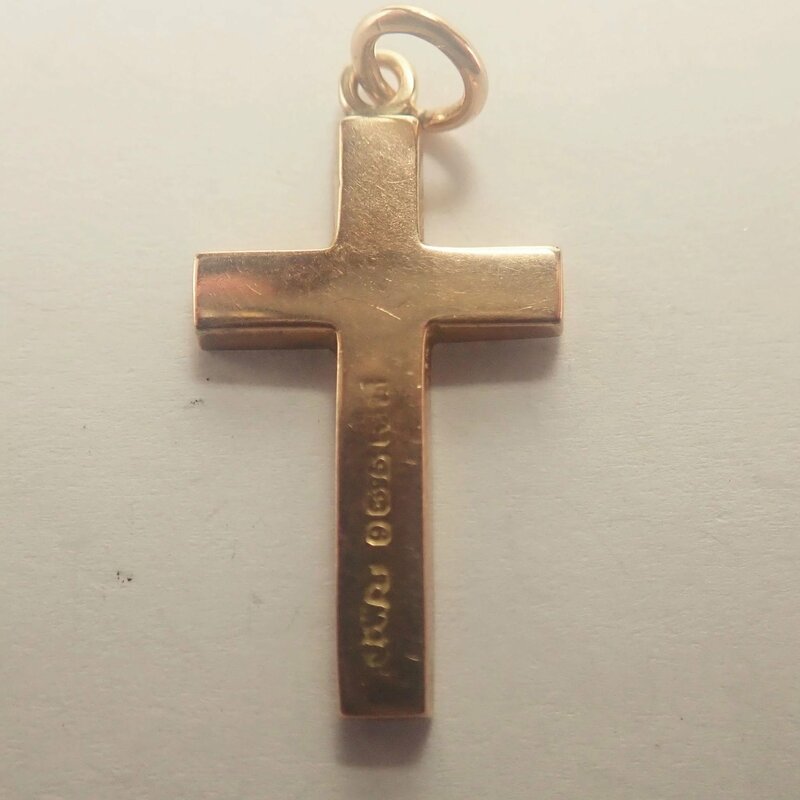 On the plain back is the maker’s mark ‘J,W.T ‘ for J.W Tiptaft & Sons. 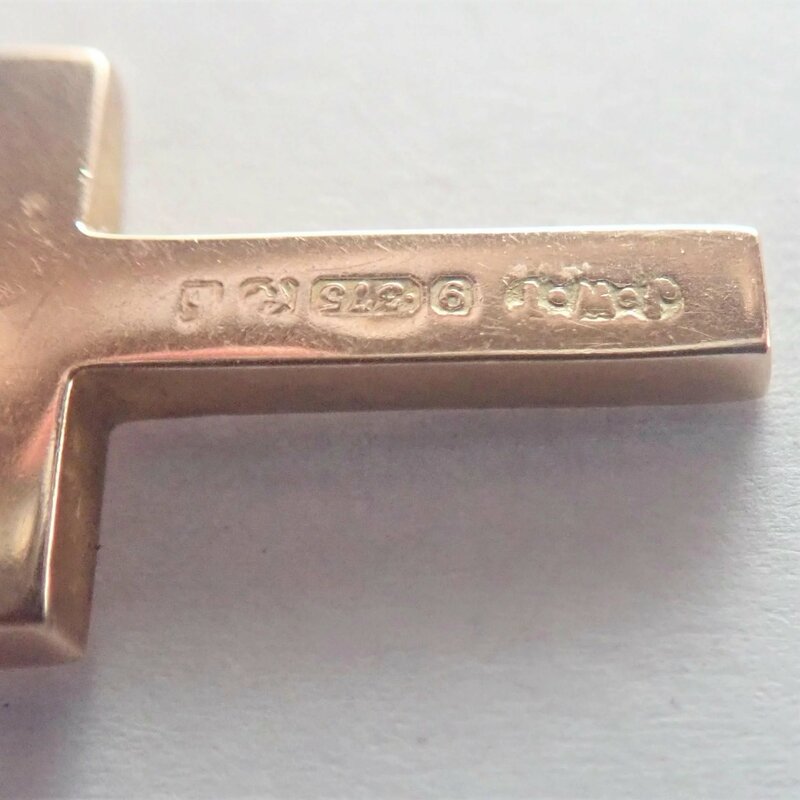 There follow the hallmarks ‘9.375’ for 9 carat gold, the anchor for the Birmingham assay office and finally the date letter ‘b’ for 1901. 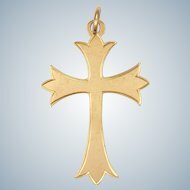 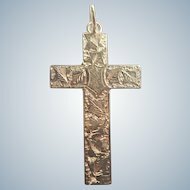 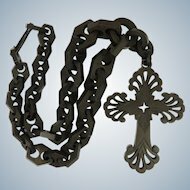 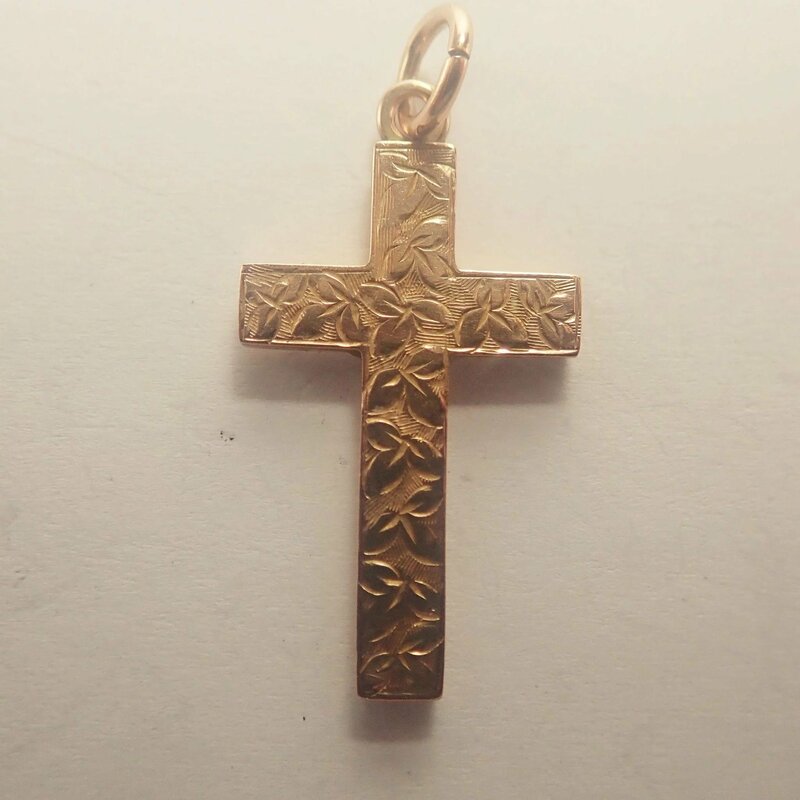 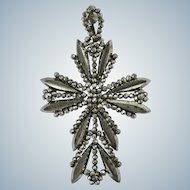 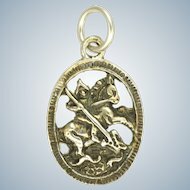 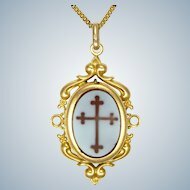 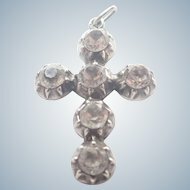 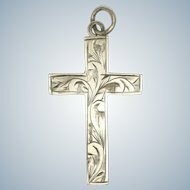 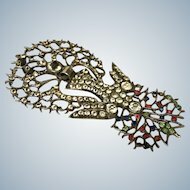 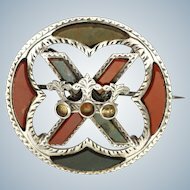 In fine antique condition, this lovely cross will arrive in a gift box.